OPNT, a systems provider for highly accurate and GPS-independent time distribution through fiber-optic telecommunication networks, announced today that KPN Ventures, the venturing arm of KPN, has added to Cottonwood Euro Technology Fund’s (CETF) investment in OPNT. The investment in OPNT represents KPN Venture’s first indirect investment realized through KPN Ventures’ previously announced fund-in-fund investment in CETF. OPNT stands for Optical Positioning, Navigation and Timing. The company is developing an alternative technology for network time synchronization for fiber optic networks that will be faster and more reliable than the currently widely-used global satellite positioning (GPS) systems. Network time synchronization is crucial amongst others for network optimization and accurate location positioning. Alongside the additional investment by KPN Ventures, OPNT has been able to conduct a successful test of its innovative timing technology to achieve sub-nanosecond synchronization within a simulated network architecture provided by KPN. “We’re pleased to join Cottonwood in their investment in OPNT, which is developing a promising technology to ensure accurate and ultrafast time synchronization in fiber and (next-gen) mobile networks. Moreover, the investment in OPNT is a good example of how KPN can both invest in innovative companies and provide them with technical support and validation to accelerate the development and commercialization of their new services and technologies,” said Herman Kienhuis, Managing Director of KPN Ventures. OPNT is the first worldwide provider of short and long haul timing solutions based on so-called White Rabbit Ethernet, whose development was initiated by CERN and which greatly improves on the accuracy of the existing IEEE 1588v2 and Synchronous Ethernet standards. OPNT’s implementation is highly flexible, allowing retrofit solutions in existing networks with no need for replacement of legacy equipment or sacrificing valuable telecom capacity. With OPNT, network owners now have the unique opportunity to distribute and control GPS-quality timing everywhere in their own infrastructure, doing away with the inevitable third-party dependence of GPS receivers, as well as their risk of jamming and high operational expenditure. 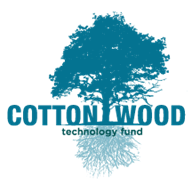 Cottonwood Technology Funds is a seed and early-stage technology commercialization fund with offices in Santa Fe and Albuquerque, New Mexico; and Enschede, The Netherlands. It invests in technology-related (particularly telecom, chemistry/material sciences, photonics, biosciences and new energy related) businesses originating throughout the Southwest region of the US and also in Northern Europe. These regions include numerous national laboratories, over a dozen major research universities and several major research medical centers. Current investments include Skorpios, Clear Flight Solutions, FibeRio, xF Technologies (formerly Incitor), Eurekite, Respira, Trilumina, OPNT and Exagen. Visit www.cottonwoodtechnologyfund.com. KPN Ventures is the venturing arm of KPN, The Netherlands’ leading telecom & ICT company. KPN Ventures invests, both directly and indirectly through fund-in-fund investments, in early-growth stage European technology start-ups in the segments: Internet of Things, Connected Home, e-Health, Cyber Security, Cloud/OTT Services and Data & Analytics applications.. KPN Ventures provides access to capital, to KPN’s extensive expertise in connectivity, security and related technologies, to its leading network infrastructure and to its large customer base. KPN Ventures has its main office in Rotterdam and has invested a.o. in Actility and EclecticIQ. For more information, please contact Ray Quintana, General Partner, ray@cottonwoodtechnologyfund.com.